Some very important information for season ticket pricing on the Redhill Route. If you have the ability to renew your season ticket before the 2019 Pricing comes into place we strongly recommend you do. With the exception of one set of fares everything has gone up for 2019 on the 2 January. Passengers travelling from Horley who would purchase an annual season ticket to ‘London Thameslink (no tube)’ or ‘London Zones 1-6 (any permitted) will see a reduction in their fare. 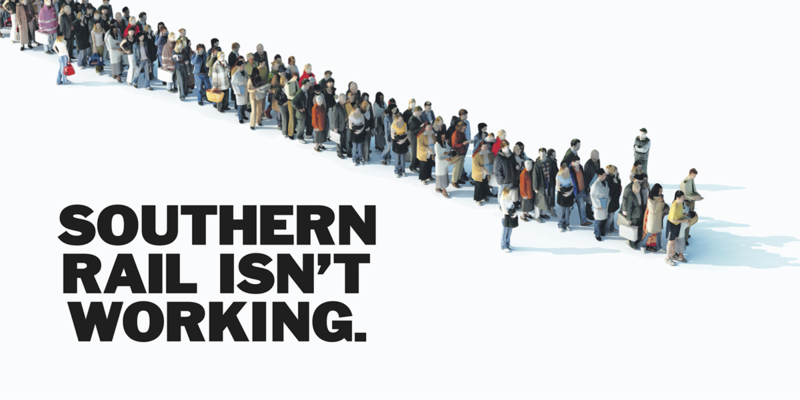 It may no longer be cheaper to buy your annual ticket from Gatwick so please check. From various stations if your ticket includes a London underground travel card it may have stayed the same. 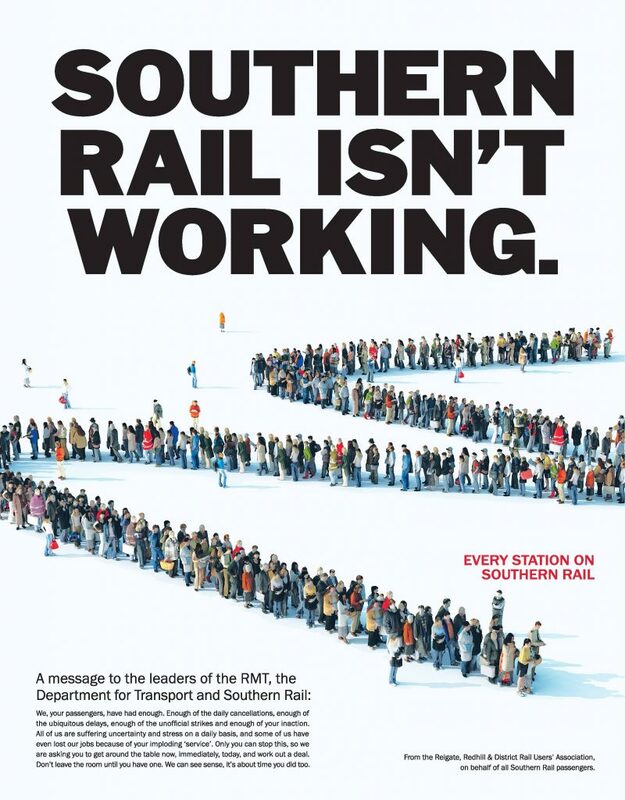 Southern /Thameslink / Gatwick have produced posters and leaflets that are available in ticket offices – These include weekly, monthly, and annual prices for 2019. We also have digital copies below. We haven’t been provided with a version of the above for Nutfield of Godstone. 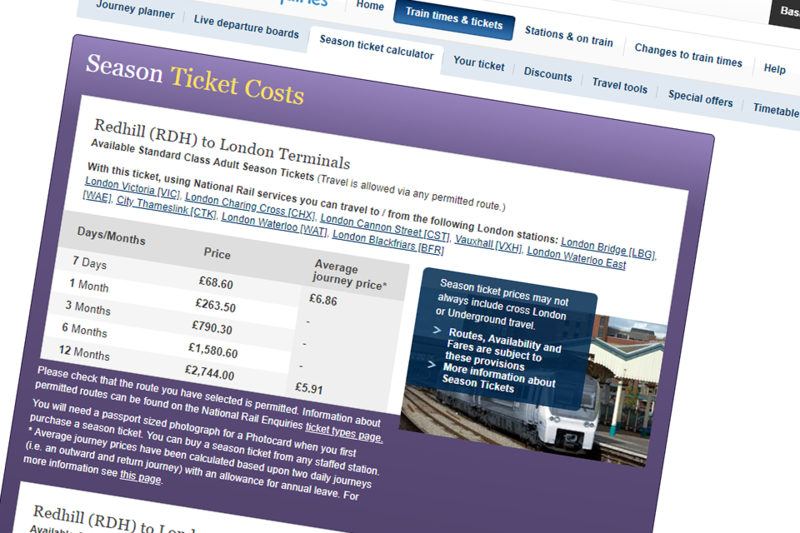 You can check your own personal journey and season ticket on the National Rail Enquiries website. The promised reductions in fairs to tackle the Redhill Hump appear not to be present, and we are not letting it go either. We’ll have more on that shortly. Our ‘unfair’ fares that create the ‘Redhill Hump’ and lack of availability of Oyster/Contactless at Reigate. Issues with infrastructure (Regiate’s platform can’t take the Thameslink Trains, and Stoates Nest Junction restricts the number of trains that can cross it. While it hasn’t all been in the public domain we’ve been working with Crispin Blunt our local MP and RRDRUA President on many of the issues above for some time. Frustratingly when the RRDRUA makes progress with a transport minister their inevitably loose their job and it all starts again. Continually promised action in meetings with ministers and the DFT (many of which RRDRUA committee members have attended over the years) Crispin has like us reached the limits of his frustration. Acting on this he secured an adjournment debate in the House of Commons raise our issues. Jo Johnson then had to address the issues raised by Crispin, which are a matter of record in the house. The full transcript of the debate can be read here. And you can watch the snippet from the House of Commons here. Fares – Whilst not suggesting Oyster zones would happen, and instead suggesting modern ticketing with pay as your go or smart card payment is the future – he did confirm that the ‘Redhill Hump’ would be addressed before the end of the current GTR contract. And this would start in January. We have no further detail of this yet – but it’s a big win. Either by reduction or fare freezing our fares will be brought in line with those around us. Reigate Platform 3 – This has been included in the scope of the project or the Brighton Mainline upgrade. 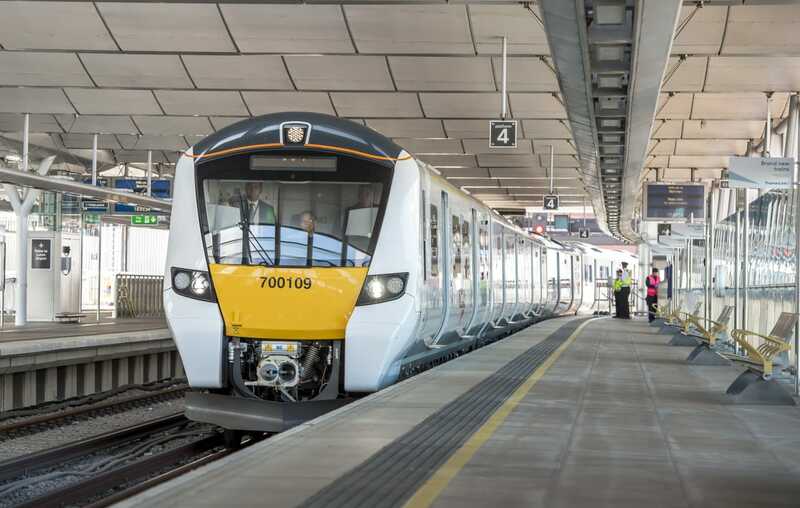 Whilst it won’t happen over night, it’s on the books for consideration – a new longer platform at Reigate would allow the return of direct London Bridge services via Thameslink. Industry Compensation – No movement on this what so ever. Reigate/Tonbridge line passengers. Or those that purchased Dorking tickets are excluded, and are still excluded. The May 2018 Timetable – Jo Johnson said that in December 18 more trains will be added to our services through Redhill/Merstham. And we assume some of these will also stop at stations south of Redhill too. Conveniently there are 18 trains currently missing form our weekday timetable. Weekends are of course still very much missing in action. 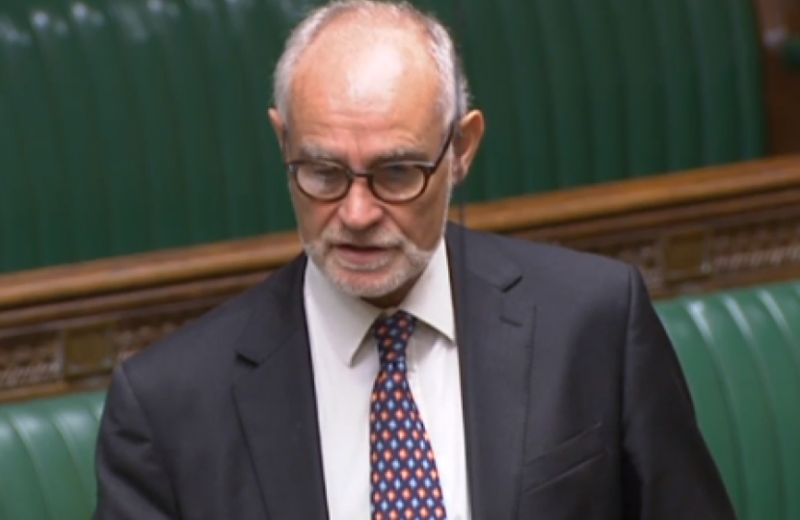 We’ve made some big progress today with big thanks to Crispin Blunt MP for securing the debate and representing our issues. If you have any comments or questions please let us know. Finally apologies if you made it to Westminster for the debate at 5pm. Whilst Parliament has a set start time – all business follows the last business. And an earlier debate was short a number of speakers which brought us forwards – we had little notice this would happen. 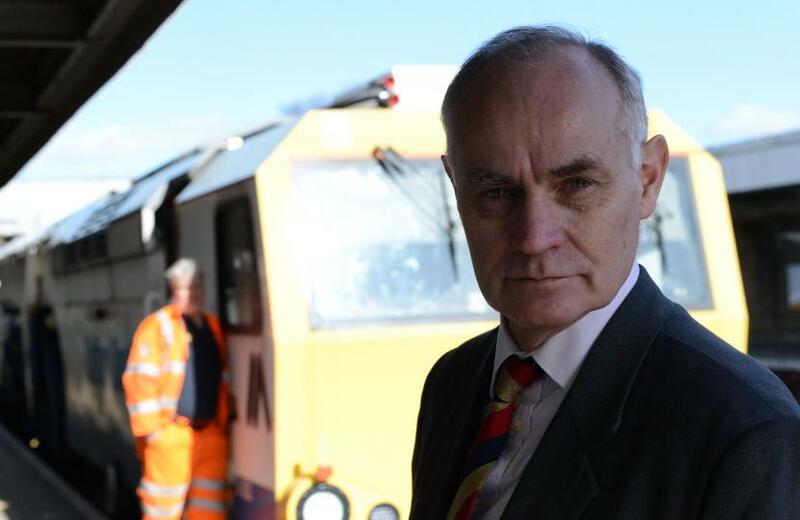 Following repeated correspondence over the summer with Chris Grayling, Secretary of State for Transport Crispin Blunt had a meeting with the Rail Minister earlier this week to address a series of issues particular to the Reigate and Redhill District rail users, in addition to the wider issues of the generally appalling service standards on the line. The minister’s reply on behalf of the Transport Secretary will condition whether Crispin as both MP for Reigate and President of the Rail Users Association will be able to continue to express confidence Chris Grayling management of the Department for Transport. All RRDRUA members are invited and indeed encouraged to be present in the viewing gallery, House of Commons, to support Crispin in his efforts to make our voice heard and to meet together afterwards in Westminster Hall to have a brief post debate discussion on what we have heard from the DfT. Please allow 30 mins to get through HoC security – no need for a ticket, just some identity, for the gallery. Crispin would be pleased to see the passengers he is working for and account directly to them on Thursday. Instructions for those coming to see Crispin in the House of Commons on Thursday 10 October 2018. The debate is currently scheduled for 5pm but please arrive in plenty of time to clear security. Please can RRDRUA attendees to enter through the Cromwell Green entrance (see attached map) and make their way to Central Lobby via the main Visitor’s entrance, allowing at least 30 minutes to clear security. Then, they should ask to be directed to the Admission Order Office where you gain entry to the public gallery. The office is located just off Central Lobby behind the statue of William Gladstone. Gareth Owen will be in the gallery to arrange the meeting with Crispin in Westminster hall afterwards. You do not always need it, but it may be useful to take a driving license or other picture ID. Over crowded trains they weren’t able to board (both in the morning and evening peak). Including running only 8 car trains through London Bridge at 17:21 and 17:51 which were already full by the time they got to London Bridge. Trains terminating at East Croydon and being emptied of passengers as the driver hadn’t been trained on the route. Not to mention plenty of late trains and drivers and onboard supervisors advising that the train is held at a red signal as the line ahead is congested. The Peak evening Thameslink service (looking at trains between 16:30 and 19:01) ran with a 30% cancellation rate! If you add to this the number of trains later than 15 mins (which are eligible for Delay Repay) the number of disrupted trains climbs to 57%. There’s so much more we could say about the first week, but we need to turn our attention to Saturday, and the complete collapse of Thameslink south of London with no communication from Thameslink to passengers what so ever. At time of publishing 100% of Thameslink trains that would call in the Redhill area have been cancelled. Horley, Salfords, Earlswood have had no trains to London. Redhill has diverted South Eastern services running though to Charing Cross. Reigate, Redhill, Merstham have a short Victoria service (4 coaches only). The Horsham to London Bridge service is running only between Horsham and Redhill it appears. And according to the Association of British Commuters on twitter it was known it was going to happen. As railway workers were advised as early as 13:01 on Friday afternoon. This is completely unacceptable. The weekday commute is not the only use of the railway. Many people also work on the weekends, or at the Weekends travel for leisure, and everyone with an annual season ticket is entitled to. As a rail users association we’ve asked Thameslink what has happened and why there has been no communication to customers. We have yet to see a response. The complete lack of communication is completely unacceptable! You will have seen our commentary and submissions on the 2018 Timetable Consultation that has been run to deliver a new Timetable covering Southern, Gatwick Express, Great Northern, and Thameslink. All of these changes are wrapped up in what’s called RailPlan20/20 and specially in our area many of our Southern Rail trains will be changed to Thameslink. The new timetable has been published electronically (although some trains notable GWR which run from Reading to Gatwick via Reigate/Redhill) and a few Thameslink trains are missing). Every train in the timetable will have moved. 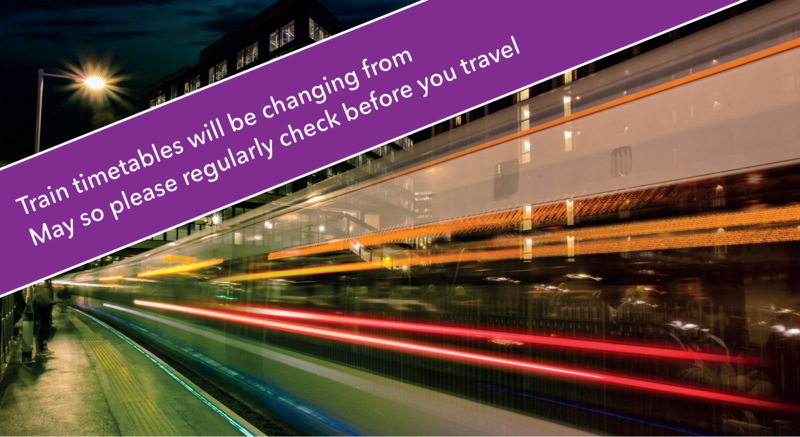 Your usual train will NO LONGER be at the usual time and your journey duration will be different! To find out how your own personal journey will be impacted here’s what you can do to take a look right now. 1. Head to your favourite online journey planner (this could be National Rail or Southern Rail or any of the Apps that provide train data. 2. Select your usual Journey (such as Earlswood to London Victoria) and the time of day that you would normally travel. Note, if you put in a specific time of the train you would normally get you may want to wind back 30 mins at-least. Many trains will be running slightly earlier than they are currently timetabled. Giving a ‘new an improved’ journey time of 52 min. Would love to know what this means to YOUR journey and the impact it will have on your specific personal circumstances in the comments below. 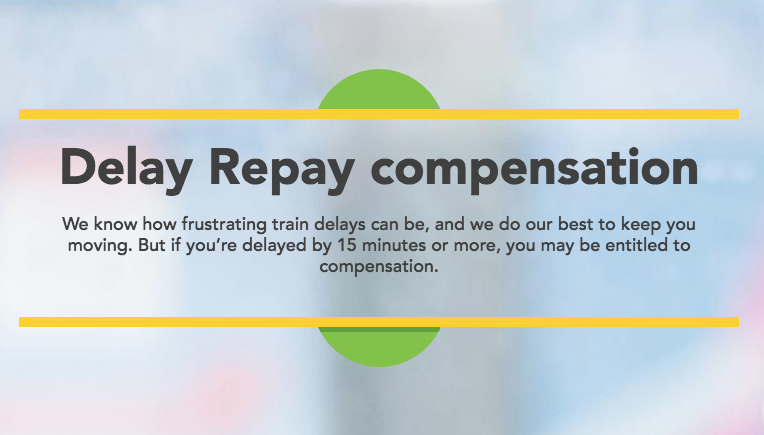 Not just earlier starts or longer journeys, but impacts on nursery, the school run, your working day, or onward travel when you arrive at hour destination in London or further south down the line. Is there ever is such a thing as a ‘Normal December’ on the railways? Through Southern, Thameslink, and event Great Western there is planned disruption that will impact the Redhill Route. The table below will be updated as information evolves. With strikes already planned from RMT, and further action possibly coming form ASLEF on top of planned engineering works from Network Rail which will even impact the Reigate – Redhill – Gatwick service on a few occasions. On Saturday, trains from Bedford to Three Bridges will not call at: Coulsdon South, Merstham and Redhill. 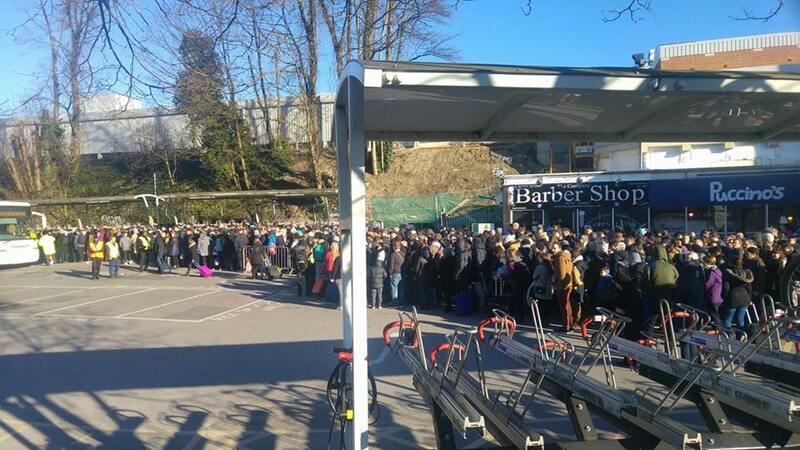 Customers should use Southern buses between Purley and Redhill. Trains from Three Bridges to Bedford will run to an amended timetable. On Sunday, trains will run to an amended timetable. Your train ticket will be valid on the replacement buses. Sun, 11 Dec Engineering Works Engineering work is taking place between Purley / Reigate and Earlswood, closing some lines. Great Western Railway trains between Reading and Gatwick Airport will run between Reading and Reigate only. Buses will run between Reigate and Gatwick Airport (taking 20 minutes), and between Reigate and Redhill (taking 10 minutes). Please depart Gatwick Airport and Redhill 15 minutes earlier than normal to ensure you meet your train connection at Reigate. Southern trains will be diverted between Purley and Horley, and will be unable to call at Coulsdon South, Merstham, Redhill and Earlswood. Buses will run between Purley and Horley to provide connections for customers going to and from the stations without a train service. Thameslink will have an amended service, more details here.